'Amar Priyo Boutik Galpa' is a ghost stories collection book. 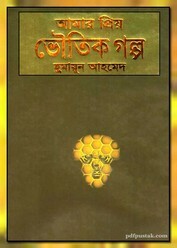 All these collected stories are written by the various prominent authors and some of stories are editor Humayun Ahmed himself wrote. Truly stories are fun with a lot of horror. All ages people can read and get enjoy these stories.